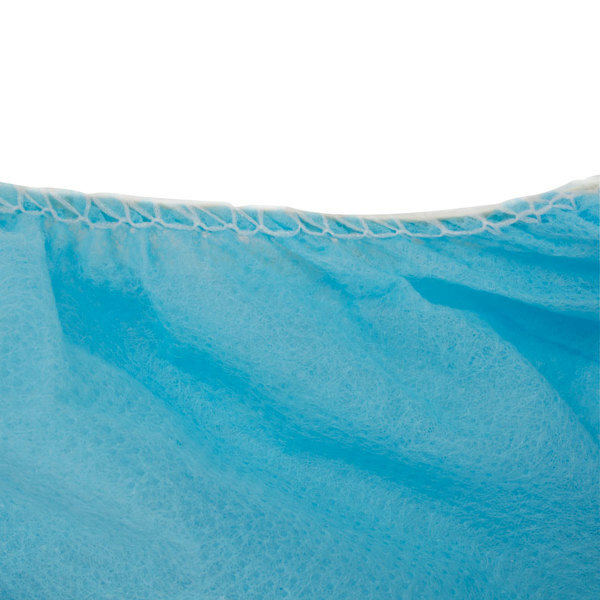 Keep your employees' footwear clean while simultaneouly protecting delicate flooring and carpeting from outdoor contaminants with this blue disposable shoe cover with non-skid bottom. 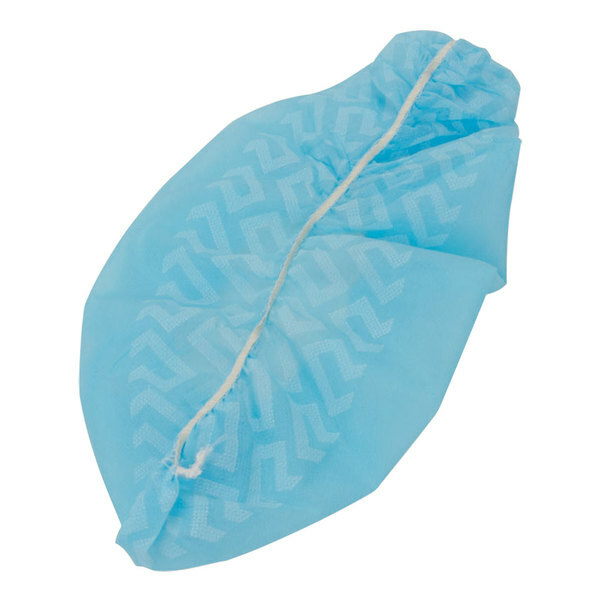 Made of standard weight polypropylene, this XL shoe cover offers ample shoe protection from food particles, dirt, and grime often found in cafeterias and dishwashing areas. It is also an ideal option for hospitals and clinics since it keeps any impurities found on shoes from coming in contact with sanitized areas. 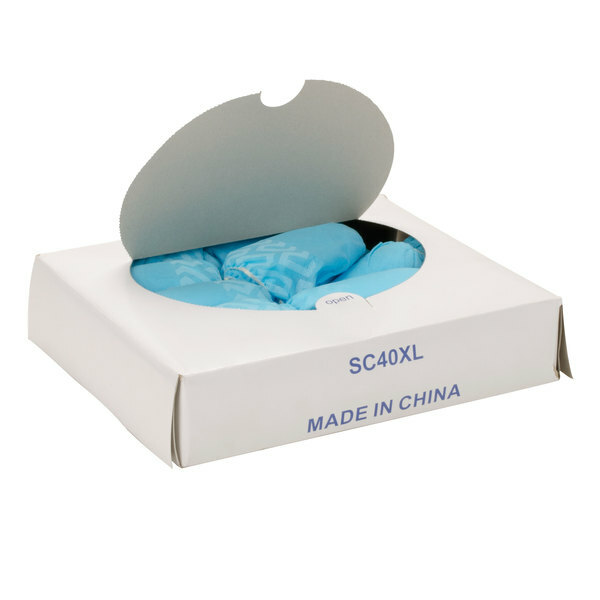 Capable of fitting over shoes up to size 15, this shoe cover features a light blue color that is perfect for hiding stains without drawing a lot of attention. 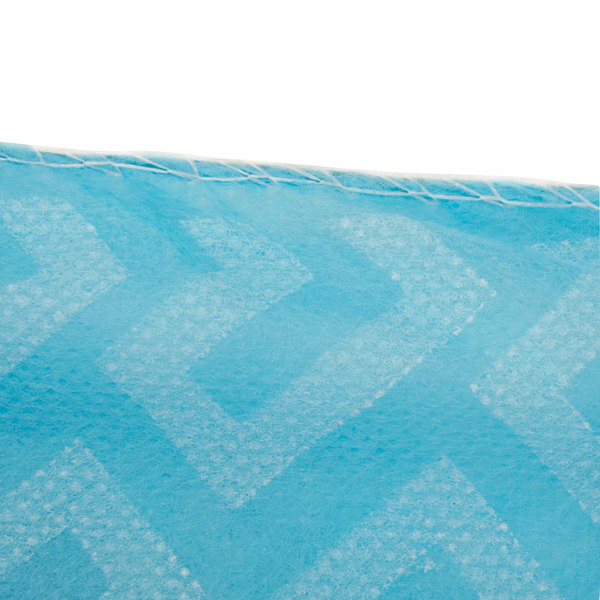 The elastic closure provides a snug fit around the shoe to help keep the cover in place and limit exposure. Plus, thanks to the safe, non-skid bottom, this shoe cover also helps prevent employee injuries without inhibiting movement. Since the component materials comply with all federal regulations for food contact, this shoe cover can be used in food prep environments or in a variety of industrial applications. These arrived quickly. We are a construction service company so these work great for going into a clients home. Haven't tested in wet environment yet (fingers crossed!). XL is great for men's work boots!!! These are a nice disposable shoe cover for building maintenance projects. Protects floors from dirty shoes/boots and are easy to get on and off. Available in large and xl. 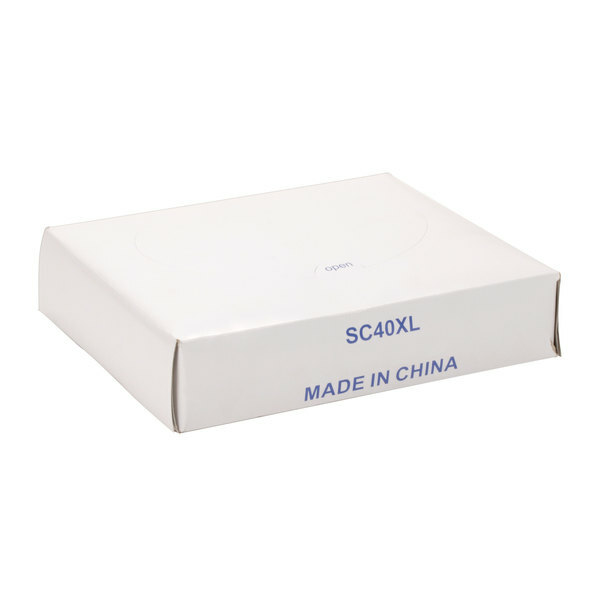 This 400 count case of XL shoe covers is a great deal. Perfect for contractors, plumbers or anyone looking to keep carpets clean. Nice quality disposable shoe cover for the money. 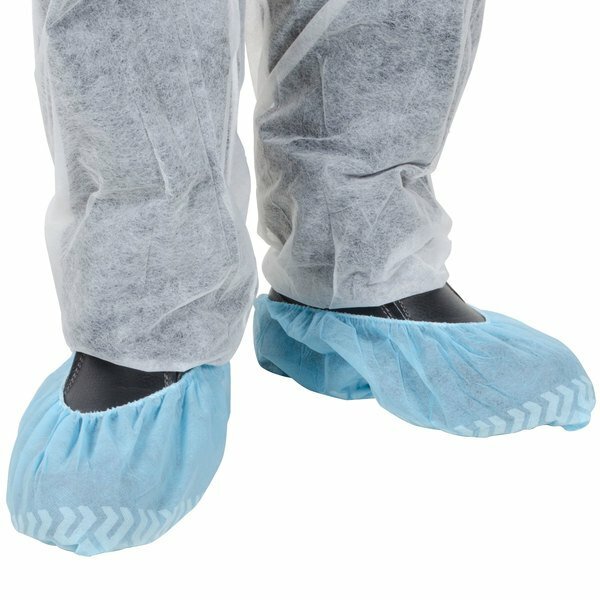 These blue shoe covers with non skid bottoms are great for working homes where you don't want to track in dirt from outside. They are easy to put on too. This 400 pack or 200 pairs of disposable boot/shoe covers is a great way to protect your carpet or other flooring. I really like the X-Large because they are nice and roomy and fit small or large shoe, but the elastic keeps them on, even if they are a little big on your feet. I wear a size 10.5 and the covers easily slip over my shoes. 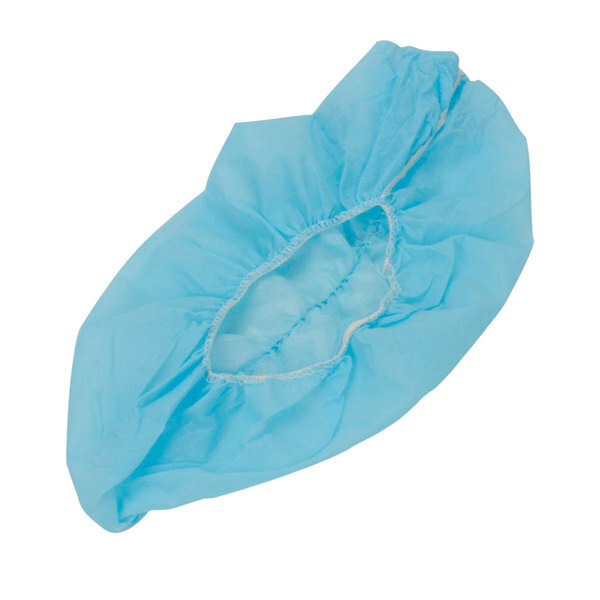 Sir Clean recommended Blue Polypropylene Shoe Cover with Non Skid Bottom - XL - 400/Case for the quality, its very resistant and we use as part of our uniform.